Varied explorations in ceramic sculpture including liquid clay, mother of pearl and white gold. Cascading and threshing of form to push the material towards new vantages, 3 bodies of work collide in scale and colour together with a blind embossed print suite. Sandra Ainsley Gallery continues to celebrate our 30th anniversary with an exhibition of new work by Toots Zynsky, who is known internationally as one of the pioneering and most innovative voices in the contemporary art glass movement. Born in Boston, and raised in Massachusetts she earned her BFA from the Rhode Island School of Design in 1973. In 1971, she assisted Chihuly and others in the founding and early development of Pilchuck Glass School. From 1980- 83, she was a key participant in the re-building and development of the second New York Experimental Glass Workshop, now UrbanGlass. While living in Europe from 1983-1999, she developed her renowned and unique “filet-de-verre” technique. To make her vessels, Zynsky first layers thousands of multicolored Murano glass threads onto a round heat-resistant fiberboard plate. For her, this part of the process is like drawing or painting. This mass of glass threads is then fused inside a kiln. While hot, the fused thread disk is allowed to slowly slump into a series of consecutively deeper and rounder preheated bowl-shaped metal forms. To make taller vessels, the piece is turned upside down and slumped over a cone-shaped mold. Finally, Zynsky reaches into the kiln, wearing special heat-resistant gloves, and she squeezes the glass into a unique undulating form. “When I was working with slump glass in 1971 to ’72, there was very little in the literature about it,” she says. “I wasn’t interested in just letting it happen.” She experimented and developed new techniques. “There are very few accidents in my work,” she explains. “I had to solve the technical part in order to make what I wanted to make.” Today she uses her knowledge and her skill and also allows her fingertips and her unconscious mind to form work of seemingly effortless beauty. Zynsky’s first solo exhibition in Canada will take place at Sandra Ainsley Gallery in Toronto, March 28 through May 12. Toots Zynsky has been the recipient of many awards, including two National Endowment for the Arts Grants, as well as The Pell Award for Excellence in the Arts, and recently elected to the prestigious American Craft Council College of Fellows. Her work is represented in over 70 museum collections around the world. Peter Powning works in a wide range of media, usually in combinations, including glass, cast bronze, stone, ceramics and steel. In addition he produces large photographic prints of ephemeral work. He is involved in developing broader cultural involvement and awareness through his work and in his community life. The sculpture of Martin Blank engages the viewer by capturing gestures and movement of the figure in space while working with molten glass. Martin’s work combines passion, movement and vitality. He has an understanding of the figure and the ability to convey rhythm and motion. While Baldwin and Guggisberg do not exclusively make vessels, any survey of their work will show them as amongst those contemporary sculptors in glass who regularly explore glass’ long relationship with functionality, who work as heirs to the great tradition of the creation of objects for everyday use. If they are heirs, and if they are interested in acknowledging the forms – especially the vase – that have intrigued artists who work in glass for the last several thousand years, they are heirs who seem driven both to echo and extend. Latchezar Boyadjiev is known for large-scale cast glass sculpture in dramatic shapes and vibrant colour. His inspired creations are cast in the Czech Republic where he is able to select the most precise glass colour and desired consistency. Thomas Scoon‘s work focuses exclusively on the human form. Although abstracting the form, he is able to emphasize the essence of gesture, gender, and other human characteristics.The new works in this show will be comprised mostly of figurative cast pieces. Bertina Mitchell of the Napa Valley Symphony will be performing live harp music selected for the opening reception. Jon Kuhn is regarded as one of the leading glass artists in the world. With works featured in over 40 international museums including the Metropolitan Museum of Art, the Vatican Museums, the Carnegie Museum of Art, the White House Permanent Collection, the National Museum of American Art and hundreds of private residences and public spaces, millions have enjoyed his beautiful works. Linda MacNeil began her prodigious career as a metalsmith while she was still a teenager. Crafting wire jewelry in a basement studio set up by her father, she successfully sold the pieces on the street to passersby. MacNeil grew up in Hanover, New Hampshire, in a family filled with creative individuals, from her father who designed machinery to her clothing designer mother to relatives who were architects. Committed to art at an early age, MacNeil studied at the Philadelphia College of Art and the Massachusetts College of Art, where she was introduced to glass and her future husband, Dan Dailey. She received her B.F.A. from the Rhode Island School of Design in 1976. Dan Dailey works primarily in his Kensington, New Hampshire studio with the help of his staff of assistants. He is also Professor Emeritus at Massachusetts College of Art where he founded the Glass Department in 1973. He has taught at numerous glass programs including Rhode Island School of Design, Pilchuck Glass School and Haystack Mountain School of Crafts and he has given lectures and workshops throughout the United States, Europe and Japan. 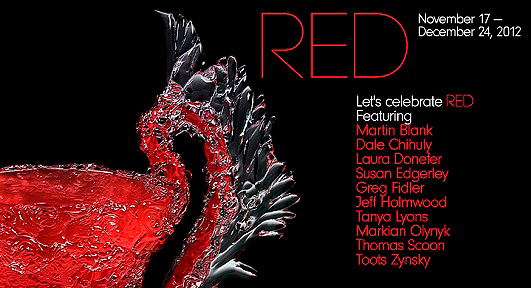 Martin Blank, Dale Chihuly, Laura Donefer, Susan Edgerley, Greg Fidler, Irene Frolic, Jeff Holmwood, Tanya Lyons, Jeff Mack, Markian Olynyk, Marlene Rose, Thomas Scoon, and Toots Zynsky. A chance meeting with Dale Chihuly in November 1988, crystallized into him opening my gallery in the Exchange Tower in May 1989. From the beginning, it was meant to be; initiating a 23-year professional collaboration and friendship that has enriched the Canadian art landscape. 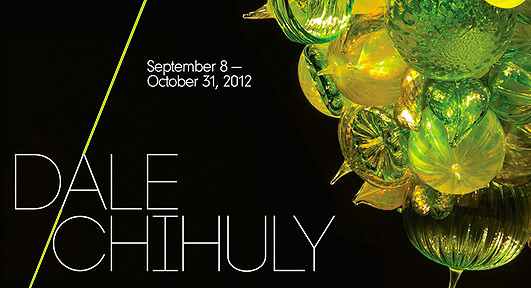 It has been my honour to present Chihuly’s work and to mark every gallery milestone with him. Philip Baldwin and Monica Guggisberg are vessel-makers, and it is vessels, in all the permutations and possibilities, that are at the core of the Boats series. 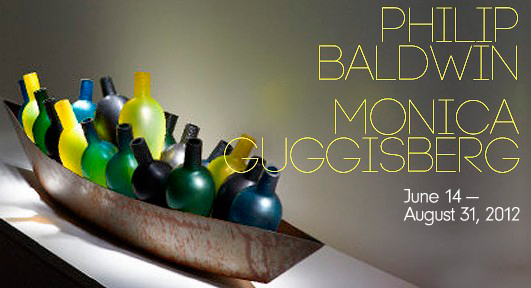 While Baldwin and Guggisberg do not exclusively make vessels, any survey of their work will show them as amongst those contemporary sculptors in glass who regularly explore glass’s long relationship with functionality, who work as heirs to the great tradition of the creation of objects for everyday use. If they are heirs, and if they are interested in acknowledging the forms – especially the vase – that have intrigued artists who work in glass for the last several thousand years, they are heirs who seem driven both to echo and extend.